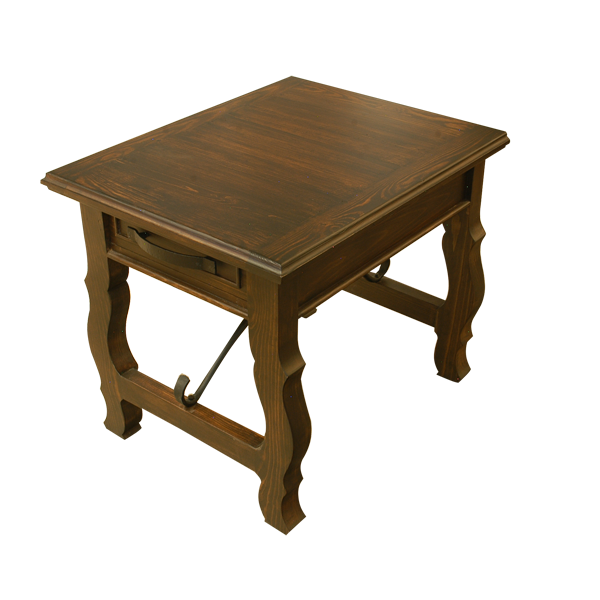 With its large, rectangular table top, this beautifully stained, handcrafted end table can be used as a writing desk, or as a lovely table with a lamp and personal objects. 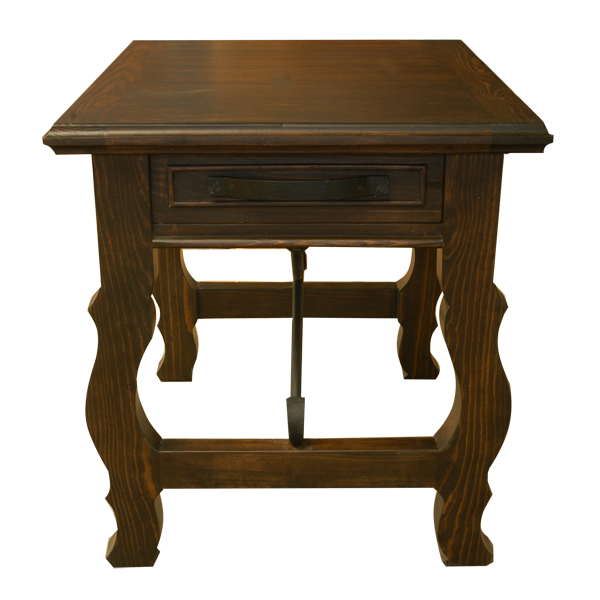 One side of the end table has a practical, large drawer for storage, and the drawer has a leather handle. 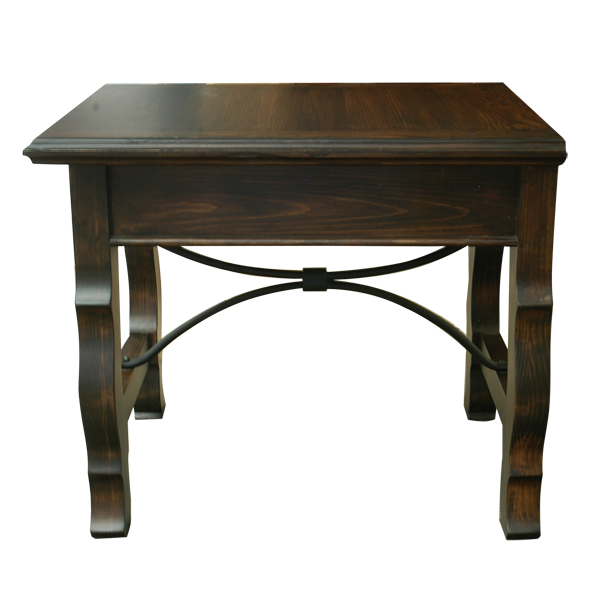 The end table rest on lovely, curved, wood legs, and the legs are connected on the sides with straight, solid wood crossbars. 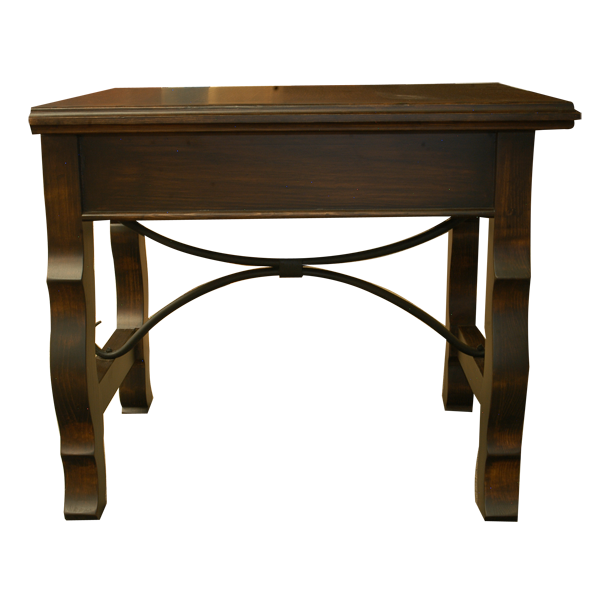 The end table has an inside stretcher made from curved, hand forged iron, and the stretcher connects the side crossbars. Made with the best, sustainable, solid wood available, it is 100% customizable.